I often have to cook for 4 or more people, and sometimes I just want something that does not involve a lot of prep. This chicken dish was just perfect for that! Flavorful, moist and low maintenance! Spray a 9x13 baking dish with non- stick spray. 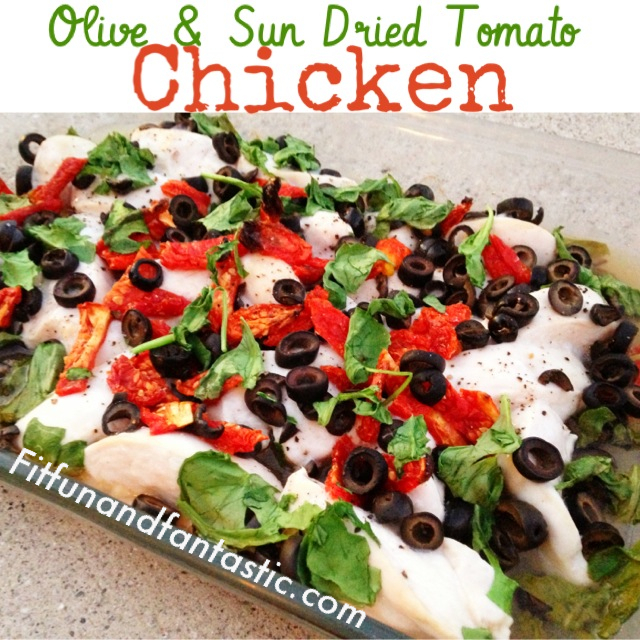 Place the chicken in a single layer in the dish then sprinkle olives and sun dried tomatoes over the chicken. Melt the coconut oil and mix it with the apple cider vinegar. Drizzle the sauce over the chicken. Bake for 15 minutes. Then take out the dish and sprinkle the spinach over it. Bake for another 5 minutes or until chicken is cooked.